Nokia has launched plenty of Symbian, Android, and Asha operating system powered handsets under 10K Rs in the Indian markets. The company may not be actively launching new entry-level mobiles, but there are some people who are still buying old phones. Today, we’ve shortlisted the best selling Nokia devices for such people. N1 offers good features. The USP of this handset is its decent configuration and the latest OS. The handset has a 4.5-inch display that has 480 x 854-pixel resolution. It provides a 5 megapixel back camera which supports digital zoom technology. It also flaunts a front-facing 2MP camera. N1 has 8GB storage memory and it weighs around 130 grams. The mobile runs on Android Oreo OS. It has a micro SD card that supports up to 128GB SD card. It has a browser that supports internet browsing via an EDGE, GPRS, 4G-LTE connection. The battery capacity of this budget Nokia mobile phone is 2150 mAh and the price tag is 4500. Priced below 3000 Rs in India, Nokia 216 is one of the best dual SIM entry-level phones in India because it has decent features and it provides a great battery backup. This phone has a 2.4 inch LCD of 320 x 240 pixels screen resolution. For imaging, this cheap phone below 3000 Rs has a VGA back and a front camera that can record videos. The mobile supports digital zoom feature, MicroSD card slots, and weighs it just 79 grams. It has 16MB ROM and 16MB RAM. The 1020 mAh capacity battery of Nokia 206 is excellent as it delivers 13 hours of talk and 600 hours of standby time. N216 is priced at 2500 Rs. This dual SIM bar style mobile has 128MB internal storage memory. Like other budget Nokia mobiles, 3310 ships with Micro SD card support. The handset includes 16 megabytes of RAM and it supports GPRS, EDGE network connectivity. It boasts a 3.5 mm Audio Jack. N3310 comes with a phone book memory of 100 contacts and a 2.0 megapixel back camera. It has 2.4 inches transmissive liquid crystal display that supports 64000 color combinations. The display of this mobile has a 240 x 320 pixels screen resolution. N3310 has a 1200 mAh battery which gives 20 – 21 hours of talk-time and 650 – 700 hours of standby time. It costs below 4000 INR. N3310 is available in grey, blue, red and yellow color options. Asha 305 is a cheap Nokia phone under 5000 Rs that features a 3.0 inch LCD display with 240 x 320 pixels resolution. It has 290 grams weight, 2MP camera, and 2 SIM card slots. AA305 comes with a 1100+ mAh battery that gives around 640 hours of standby time, 12 hours of talk-time. It includes 32MB of RAM, micro SD card slot. This budget mobile supports GPRS, EDGE technology. It costs below Rs 4000. 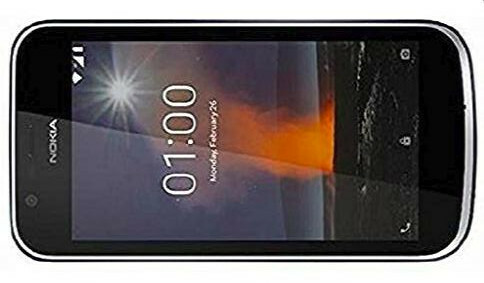 A306 is a bar style dual SIM Nokia phone below 5000 Rs. It has a 3.6-inch LCD touchscreen display that sports a 400 x 240 pixels screen resolution. The mobile has a 2-megapixel primary camera and 96 grams weight. It provides 32MB RAM. 306 has an 1100 mAh battery which helps this device to deliver 10 hours of talk time and 540+ hours of standby time. It supports Bluetooth and MicroSD cards. Internet connectivity with Nokia 306 is possible via a GPRS, WiFi, and EDGE connection. This handset is powered by Nokia Asha OS/platform. Its price is INR 4500.